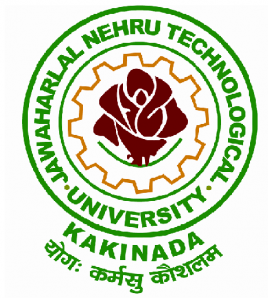 JNTU Kakinada released a Notification and important updates for JNTUK 0.15% Adjustment of Marks for Failed Students in order to secure required credit for the award of the Degree. Various points have been enlightened in this notification whose compete details and references have been provided below. This post will be useful for Students who are failed in any particular external examination due to lack of few marks. In this post, we have provided complete details regarding same. So all the concerning students who are seeking information regarding JNTUK R13 Academic Regulation and JNTUK 0.15% adjustment of Marks, may get all the relevant information and complete details below. Still, if you face any difficulty or have any doubt, you may anytime get in touch with us. For now, scroll down and check JNTUK 0.15% Adjustment of Marks for Failed Students & JNTUK R13 Academic Regulation details. Under the circumstances stated above and based on the recommendations of the Committee, vide 2nd Reference cited, the Hon’ble Vice-Chancellor is pleased to accord permission orders, with the following conditions, for adjustment of a maximum of 0.15% grand total marks to failed subjects of UG and PG students, subject to approval of Academic Senate, vide note orders of the Hon’ble Vice-Chancellor. Accordingly, for the award of B.Tech degree under R13 Regulations, Regular students have to secure 180 credits and Lateral Entry students have to secure 132 credits. It means if a student has appeared in the final semester examination and is failed in any of the theory subjects of any semester from 1st year itself because of lack of few marks and can’t secure the required credit for the award of the degree of B.Tech. And if by adding 0.15% marks to the latest performance of that subject, he may pass, then this mark will be adjusted from the Final Year Project / Seminar / Theory only and will be added to that subject so that student may pass. This is to be noted that, the maximum adjustment which can be done is 0.15% and not more than that in any case. The candidate seeking the benefit of 0.15 % adjustment marks shall apply through proper channel, enclosing failed original marks memos. The Principal shall verify the eligibility criteria at the College level, i.e., whether the candidate passes the failed subject(s), if 0.15% adjustment marks facility is extended, i.e., 0.15% of grand total marks of UG/PG programme. So above we have provided all information regarding JNTUK 0.15% Adjustment of Marks for Failed Students and have also provided the official Academic regulations copy which has been released by the University. JNTU Kakinada have not provided the facility of Direct Exemption of Grace Mark of any definite number like JNTU Hyderabad provided Concession of 8 Marks and 8 Credits for R13 regulation. But as we mentioned, JNTU Kakinada provided JNTUK 0.15% Adjustment of Marks for Failed Students, so that if any student has failed in 1 – 2 subjects for few marks then he/she may apply for 0.15% Adjustment of Marks for Failed Subjects. That’s the Info, hope we have made the things clear for you, still if you are having any query or doubt in this regard, you may anytime contact us by leaving a comment below and we will get back to you as soon as possible. We are also coming up with a video which explains all this and will be provided every single bit of information needed regarding JNTUK 0.15% Adjustment of Marks for Failed Students and the step by step procedure to apply for JNTUK 0.15% Adjustment of Marks for Failed Students of R13 Regulation. Share this page of JNTUK R13 B.Tech 0.15% Adjustment of Marks details, among all your friends and also on all of your social media pages, so that most people who are starving for these details may get it and proceed accordingly.